“We operate a one stop shop store. If we don’t have it, you don’t need it!” Dolores Pritzl was quoted in a 1977 newspaper article celebrating the first year anniversary of what is known today as the iconic Pritzl’s Trading Post. Though founders Dolores and Norman Pritzl no longer run this well-known Town of Rome business, their daughter Lori Pritzl-O’Keefe carries on her parents’ original business model. She continues to grow the business, which is a “must-stop” for visitors as well as Rome residents. In February 1976, Dolores and Norman Pritzl purchased a small building at the intersection of Highway 13 and County Road D. Originally constructed as a machine shop and small engine repair business, the unassuming, 800 square foot cement structure had historic roots - one of the original three buildings first constructed in the Town of Rome. The Pritzl’s appropriately named their business, “Pritzl’s Corner Mart,” quickly grew, and catered to meet the needs of their valued, regular customers. The Town welcomed a niche that many residents were looking for - a central shopping center equipped with all of the essentials. Throughout the years, the Pritzl’s stayed true to their mission and continued to grow their line of goods and services. In 1984, the business added an additional 2,200 square feet to offer a meat market and bakery. In 2002, Lori Pritzl-O’Keefe became the sole owner of Pritzl’s Corner Market purchasing the store from her parents and still remains the sole owner of the family business. 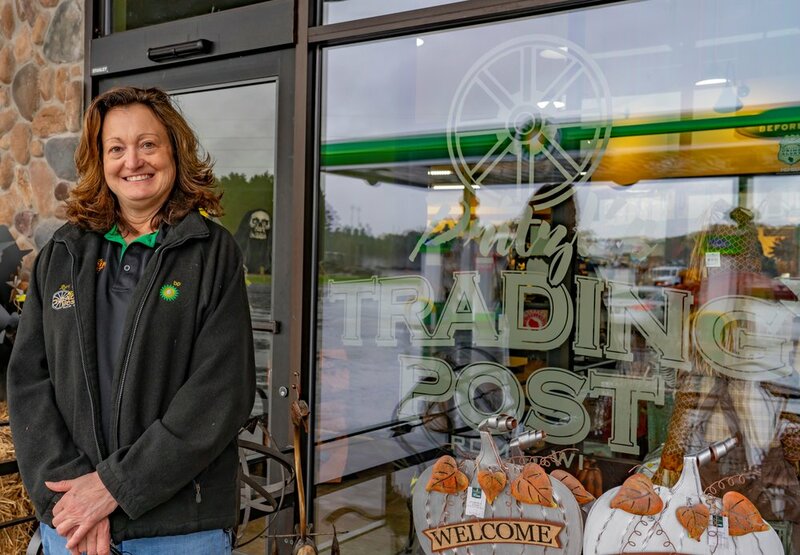 In 2006, the store underwent a complete remodel, almost doubled in space, and changed names to the familiar “Pritzl’s Trading Post.” Now offering 17,000 square feet of convenience shopping, owner Lori Pritzl-O’Keefe remains true to the store’s original mission. “We provide customers a full range of quality products and services which they need in their daily lives. We are conveniently located and offer competitive, affordable prices,” shares Lori. 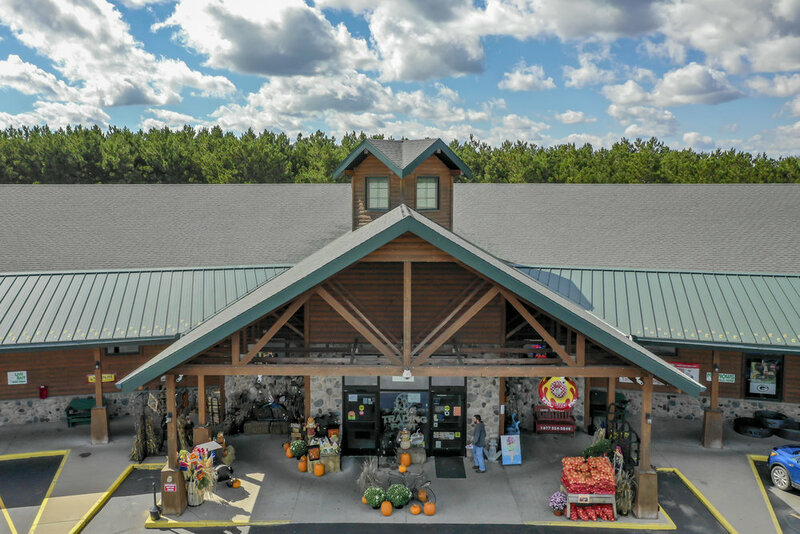 For visitors, their vacation to the Town of Rome is not complete without a “Pritzl’s run.” The one-stop shop saves local residents a trip to a surrounding Town for groceries, fuel, or other necessities. Everyone loves Pritzl’s. If you haven’t visited this legendary family-owned business, it’s a definite must stop on your next trip to the Town of Rome! - Cameryn Kwaterski, Executive Director, Visit Rome, WI, Inc.